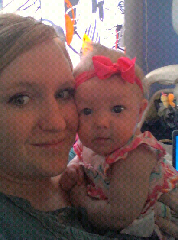 I love my kids but right now its just me and this little girl and my bed and quietness. I'm so happy. My awesome in-laws took Jackson and Sadie is at the awesome neighbors. It's kind of a crazy great night and its kind of silly that I am so awake right now. It's all the excitement. Sweet dreams friends. I just needed to document my good fortune. I feel almost guilty because I am so lucky.